Perhaps, you just want what you already have to look or feel better. New stairs and railings, crown moldings, shadow boxes, cabinetry, and wainscoting can go a long way to beautifying your existing space without breaking the bank. Call us to see the possibilities. You may, or may not, be aware of the hidden potentials of your existing space. The older your home is, the less consideration was originally given to openness and optimum usage of space. This was usually due to the limitations of early heating systems. A professional can usually tell within a few minutes what walls are needed to maintain structural integrity and what walls can go. Usually, even walls that are structurally necessary can be replaced with beams. This sort of home renovation is common and also provides options that may have never occurred to you. 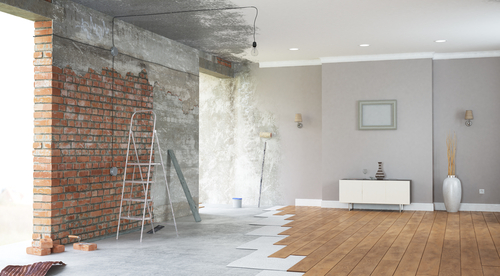 Next Level Remodeling will show you what you can do with what you have. Why Choose Us For Your Interior Renovation Project! See the results for yourself! Click here to see more interior home improvement projects! Choose Next Level Remodeling for your interior remodeling project! Click here for a free consultation.